Organic Apparel USA has been certificated from various kind of different authorities. 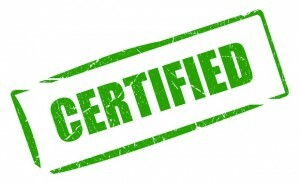 The list of our certifications and the explanation of the certifications are mentioned above. This description of Skal is made by Skal itself on their main page. For more information of Skal you can take a look at http://www.skal.nl/english/tabid/103/language/nl-nl/default.aspx . GOTS Certification is known as a one of the most important processing standard for the textiles which are made from organic fibres. Having GOTS Certification is very important because when you are certificated this means that; your company is a good in compliance of the high-level environmental criteria in all the processes of the organic supply chain. Added to environmental responsibility, there are social compliances you are accepted, too. You can find more information about Global Organic Textile Standard (GOTS) in http://www.global-standard.org/ . Organic Exchange is a located in Texas, USA and it is charitable organization. It tries to improve and expand the organic agriculture. This organic authority mostly focuses on the issue of increasing the production and use of organically grown fibers such as cotton. Azo-Free Certification program is under the authority of International Quality Management (iQM) who is a value added respectable consultancy for every range of the management system certification. For more information, you can visit http://www.iqmindia.com/about-us.html. These certifications are under the authority of Quality Tex India (QTI Solutions) and all the certifications of this authority give are responsible from the quality of the product, components or the process. The Oeko-Tex 100 certification is mostly concerns health and safety of textile product.Â Organic Apparel USA has these certifications twice in two different categories; yarn and fabric. This certification adds more value to our valuable products by guaranteeing the raw materialsâ€™ quality.